Just A Car Geek: 1983 Toyota Starlet - 63,000 Miles and in Great Shape - When Was The Last Time You Saw One? 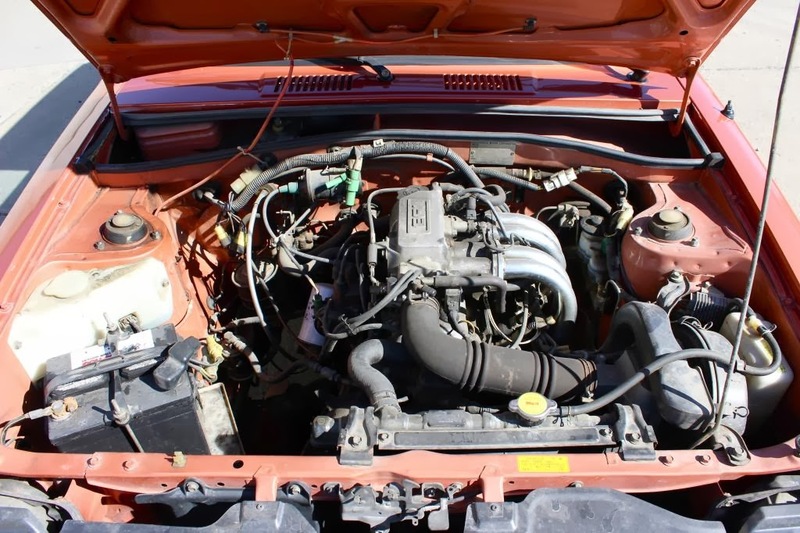 1983 Toyota Starlet - 63,000 Miles and in Great Shape - When Was The Last Time You Saw One? Remember the Starlet? 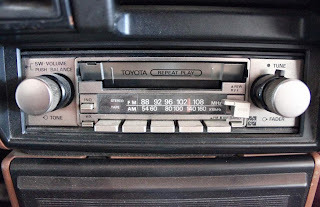 Toyota only offered them in the US from 1981 - 1984, but sold quiet a few. This was a commuter car, pure and simple. No one ever set out to buy an exciting, fun to drive car and came home with a Starlet. 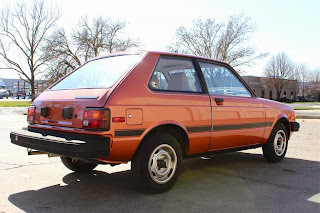 The Starlet was a typical 1980s Japanese cheap hatchback. Useful, but not exciting to look at. 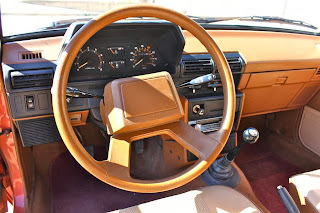 The interior was functional, well laid out, but bland and plasticy. The worst part of the interior is the shifter, which is simply surrounded by a rubber boot and looks like it belongs in a cheap, utilitarian pick up truck. Economy was the RWD Starlet's main claim to fame. Under the EPA's old way of calculating gas mileage, the Starlet managed to get 42 MPG in city driving and 54 on the highway. Back in the 1980s great fuel economy came at a cost however, and it takes over 15 seconds for the Starlet to reach 60 MPH. Reliability was the Starlet's other great trait. 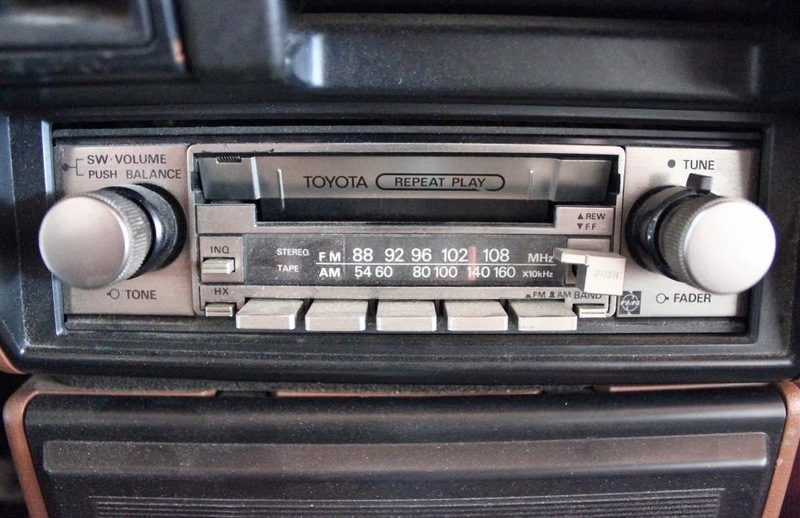 The engine was tried and true, having first been used by Toyota in the 1960s. Most everything around the engine was well engineered and well put together. Rust was the Starlet's big enemy. In the snow belt states, many good running Starlet's found their way to the junkyard after they could no longer pass their state's safety inspection due to rust. This is a 63,000 mile Starlet. It's probably been over 20 years since I have seen one in this condition. (Maybe longer, as I don't think I ever actually looked closely at a Starlet.) It's rust free and shows just the typical wear you'd expect to see on a 63,000 mile car. 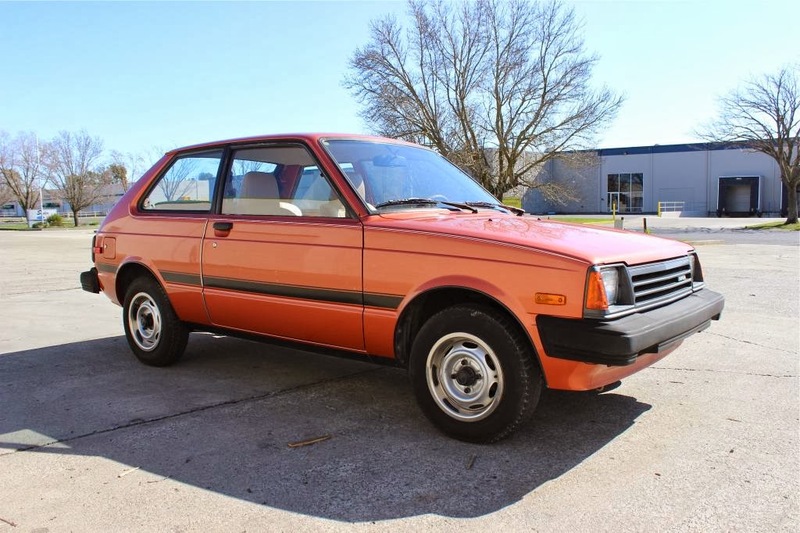 The bottom line is that if you're a car geek with a daily commute and are looking for an old car that gets great mileage, is as reliable as a new car and easy to maintain, this Starlet may be worth making an offer on. For the rest of us, this eBay listing is just a cool reminder of cars we used to see all the time, but have now all but disappeared. Located in San Francisco, CA, click here to see the eBay listing. A big thanks to Brandon for sending me the link to this car! Even in the condition it is, this is still a $2,000 car at most. While I remember the body style, I could not immediately attach a name to it. It would be a toss up between a Starlet, a Corolla, or a Tercel. 1) Potential buyers will have read all the hype recently about older Japanese car prices going up at auction. 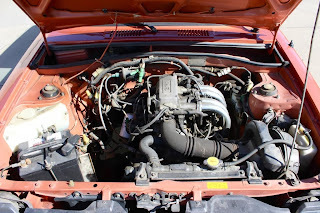 2) Sellers will have, like me, noticed that essentially every Starlet that comes up for sale is heavily modified, usually with an engine swap of one type or another. #1 is true for certain cars and usually applies to 60s through mid 70s cars - not so much late 70s/early 80s and not so much basic econoboxes. #2 is true, but seems to indicate that the only people interested in Starlets want a tiny, leightweight platform with which to start a build. This nice, complete car doesn't fit that bill and means this might be a tougher sell unless the right sentimental former Starlet driver comes along wanting to relive the past. He could probably trade it at any Toyota dealer and get about $500.